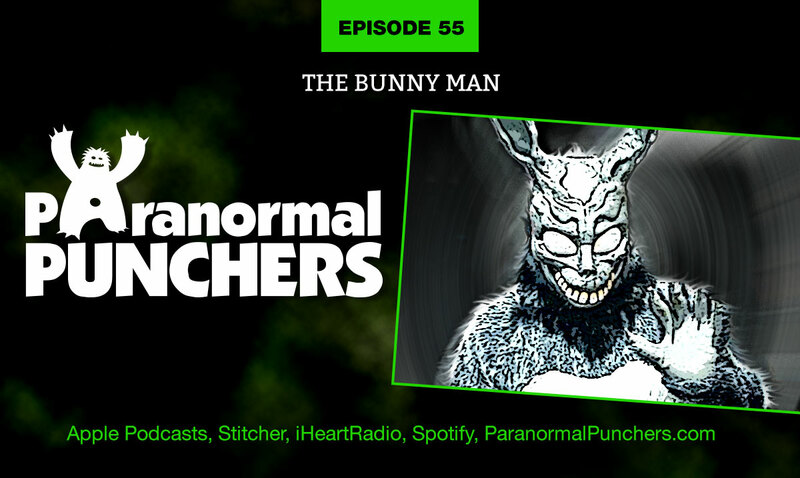 The Bunny Man is an urban legend originating in the Fairfax County, Virginia area, mostly around Colchester Overpass, a.k.a. the Bunny Man Bridge, where a man dressed in a rabbit costume attacks people with a hatchet or axe. It is said that if you say “the bunny man” three times at midnight on Halloween while under the bridge, he will appear. The story emanates from an escaped mental asylum patient in 1904 who was on the run in the area. He murdered rabbits, leaving their partially eaten bodies hanging from trees in the area, and eventually murdered a fellow patient. When the authorities discovered him, he ran in front of a train and was killed. After the train passed, the police officers could hear laughter coming from nowhere. Is the Bunny Man the ghost of a dead asylum patient, forever haunting the Colchester Overpass where he died? Join us as we chat about this urban legend!